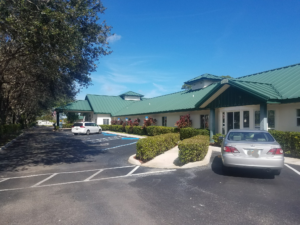 Palms Edge Assisted Living and Memory Care | "A home with a heart"
"A home with a heart"
Thank you for your interest in Palm Edge. We are a 65 bed community offering assisted living and memory care services. Our goal is to provide your loved one with a safe, home like environment while giving high levels of care from our trained staff. Our care is designed to exceed expectations, rather than simply meet a need. We strive to maintain the independence, dignity and well-being of our seniors. We encourage you to take a tour and meet our staff, see our community and even have lunch with us. We are staffed 24 hours day, offer a variety of activities, and are experts in memory care. Our staff is highly trained in dementia and Alzheimer’s care. We also hold advanced care licenses such as Limited Nursing Services. Please feel free to contact us. We are here to help!